Dispatches is a masterful collage of stories, dialogue and prose poetry on the Vietnam War from Michael Herr, a writer who spent a year trailing the marines and army on their operations in the hills, jungles and cities of Vietnam. The book is as much an account of his own experience as the scenes he witnessed and through a subjective voice bursting with pain, humour and compassion, Michael Herr takes the reader through a tour of duty in Vietnam. Dispatches isn’t so much a travelogue or memoirs of a journalist as it is a slice of human reality in wartime. Herr hangs out with the troops in damp bunkers, gets stoned with the exhausted and freaked out journalists and gives the ordinary soldiers in the field a voice as never before. In a world where history concerns itself with the deeds and thoughts of the generals, presidents and kings, Dispatches takes us into the realm of real history, enacted by the young men who were made to lay their lives, hearts and sanity on the line. We enter Vietnam with Herr, a nervous war virgin, trying hard to pull off his role as correspondent in the field. Michael Herr makes no effort to report on what he sees, he simply explains it. 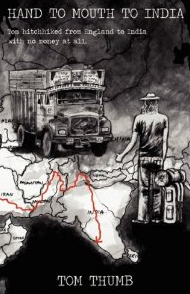 The reader’s empathy and understand is so assumed that there’s a trusting, almost intimate feel to his writing, as though he was trying to let a good friend know just what the hell he experienced in Vietnam. When we think of modern warfare we consider large military operations, the explosions, the discipline of army life and the discussions between generals at headquarters. Dispatches blows this out of the water as we learn about all the freaky aspects of the war that turned day to day life into a circus for the grunts that had to be there. Through the eyes of Herr you get the feeling that in the land of the mad the sane man is a journalist. We learn about superstitions, religious cults, about entire companies dressed up in Batman fetishes and soldiers who collect ears of dead Vietnamese – Herr gets passed a bag and a first thinks it’s dried fruit. Then he notices that it had ‘a bad weight’. The absurdity of the entire war theatre is evident in the US army’s main strategy: wander out in the woods and hope to find the enemy. Failing that, just burn down the entire country with bombers laying napalm eggs over the trees. 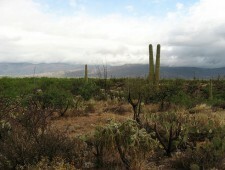 Their motto: We prevent forests. The war is run on a daily basis by a whole funny farm of generals who see the war as a chance to demonstrate their own personal charm. There are generals who like to carry photographers on board to document them flying low in choppers over the enemy and firing their revolvers into the trees. Or a general Herr meets who has plans to drop a whole bunch of piranha into the rice paddies in the north: “He was talking fish but his dreamy eyes were full of mega-death.” But it’s with the commons marine grunts that Herr feels most comfortable. He takes fire with them, shares canned rations and listens to their stories. 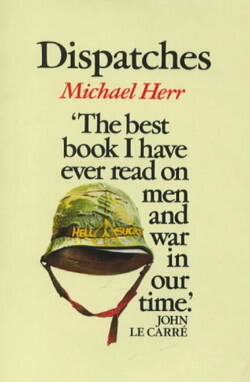 But Dispatches is a book as much about Herr travelling through the war and Vietnam as much as about the combatants themselves. He is always removed from the soldiers by the very fact that he doesn’t have to be there and in some sense he bears the responsibility of putting it all down on paper. Amid the legions of New York Times reporters, authors in search of a novel, hometown daily sports writers and war correspondent wannabes, Michael Herr finds himself in a circle of journalists and photographers who share a certain perspective on the war. They get stoned and listen to the Doors, Jimi Hendrix and Frank Zappa. Vietnam, he says, is what they had instead of happy childhoods. And they die. Herr has various friends injured and killed in the war. There’s Tim Page who gets hit so many times that they joke that the North Vietnamese are out to get him. Herr himself escapes injury but only after the reader has taken Dana Stone and Sean Flynn to his heart do we learn that they went missing in action while driving through the jungle. There are no melodramatics here but the grief is evident in the simplicity of the telling. Like returning from a long stint of travel, herr returns from the war having seen too much. He feels like he’s been hit by shrapnel so small that it’s like he’s ‘leaking time’.